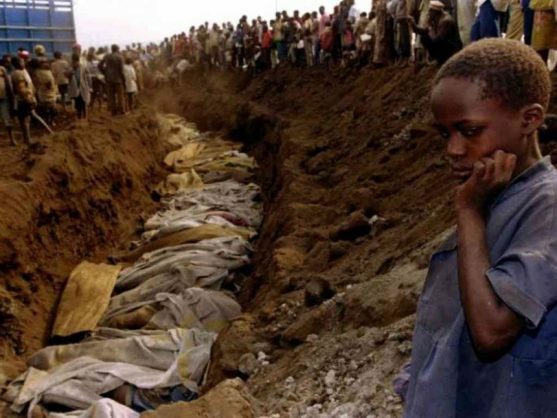 The four-month campaign led to the massacre of about 800,000 people, mostly from Rwanda’s Tutsi minority. Three non-governmental associations said Thursday that they had filed a lawsuit against BNP Paribas accusing the bank of “complicity” in the 1994 genocide of the Tutsi minority in Rwanda. BNP authorised the fund transfer to the regime in June 1994, the groups said in a statement, accusing the bank of “complicity in genocide, war crimes and crimes against humanity”. A spokesman for the bank told AFP it could not comment on the claims, saying it did not yet have “sufficient details”. The lawsuit was filed in France by Sherpa, which defends victims of economic crimes; Ibuka France, a Rwanda victims’ association; and the France-based Collective of Civil Parties for Rwanda, which pursues claims against genocide suspects. Kigali has repeatedly accused Paris of having a hand in the genocide and of being slow to prosecute some of its kingpins living in France.